Radiographs (X-rays) are extremely helpful for diagnosing and monitoring many medical and surgical conditions. X-rays are useful in examining your pet’s bones, lungs, heart, abdomen, oral cavity and other areas of the body. An X-ray can spot a fractured bone, detect tumors, help with the diagnosis of heartworm disease or locate an obstruction or foreign body in your pet's intestines or stomach. When used in conjunction with other diagnostic procedures like ultrasound, X-rays can accurately diagnose problems, making treatment faster and easier for your pet and your veterinarian. To provide your pet with the best medical care, the veterinarians at River Trail Animal Hospital uses the latest in computerized radiography equipment as part of your pet’s diagnostic care. Digital radiographic images are far more detailed and offer a range of features that enhance your veterinarian’s ability to make an accurate diagnosis. Because our radiographs are digital, we can easily submit them electronically to a board-certified radiologist for timely second opinions. 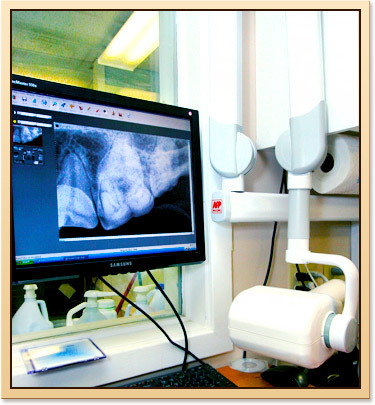 We also have a digital dental X-ray machine that allows us to gain a view of the health of your pet’s jaw and teeth below the gum-line. Visual inspection alone is inadequate at detecting the early stages of dental disease, which can develop into a serious systemic health threat for your pet. Electrocardiographs (ECG) are snapshots of how your pet’s heart functions. These are very helpful at detecting numerous types of arrhythmias, as well as a handful of other cardiac conditions that can be difficult to identify through a stethoscope. You probably have seen an ECG machine—also known as an EKG machine—or have had one of these tests in your doctor’s office, as they are commonly used to test for and diagnose common heart conditions in humans. An ECG test is a noninvasive procedure that involves simply connecting a handful of electrodes to your pet’s skin. The machine will read the electrical impulses coming from the heart as the heart works to pump blood, and then provide a graph for your veterinarian to read. If we notice any abnormalities we will explain them to you and advise you on next steps. Veterinary endoscopy aids in the diagnosis and treatment of problems occurring in the upper and lower gastrointestinal tracts. An endoscope allows a more complete examination of the esophagus, stomach, and some areas of the intestines to diagnose gastrointestinal disorders, cancerous growths, polyps, and other problems. 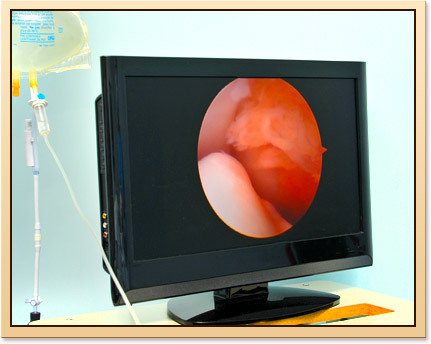 The endoscope is also useful in obtaining samples of potentially infected or cancerous material and serves as the visual aid during a biopsy, allowing the doctor to obtain the best sample for evaluation. This helps diagnose malignancies in the gastrointestinal tract as well as gastrointestinal disorders like Inflammatory Bowel Disease. The endoscope also aids in the removal of foreign bodies. Animals often swallow objects that cannot be digested or passed through the digestive tract. The endoscope allows better vision of the digestive tract so these objects may be removed without major surgery. The veterinary team at River Trail Animal Hospital is highly skilled in the use of an endoscope for procedures of the upper and lower gastrointestinal tract, foreign body removal without surgery, and examination and biopsy of the nasal area and lungs.